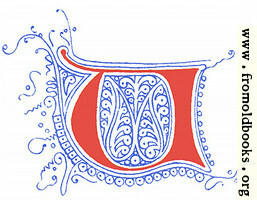 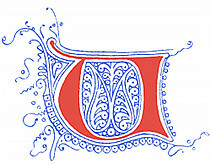 A red and blue calligraphic decorative letter “U” or “V” from a 14th century manuscript, reproduced in this 1860 book. The squiggles would have gone into the left margin. 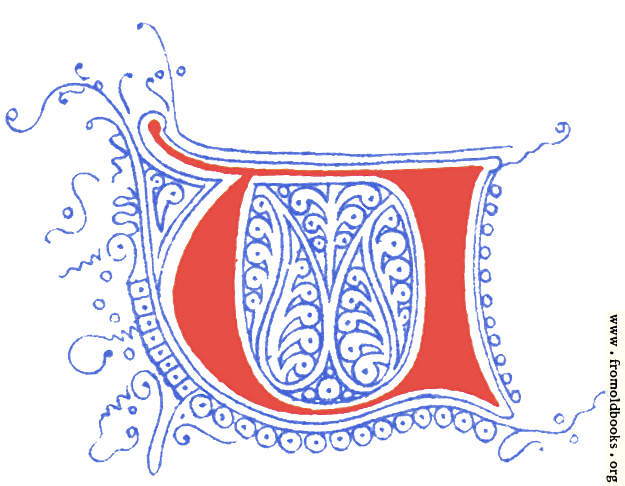 Remember to link back here if you use it!